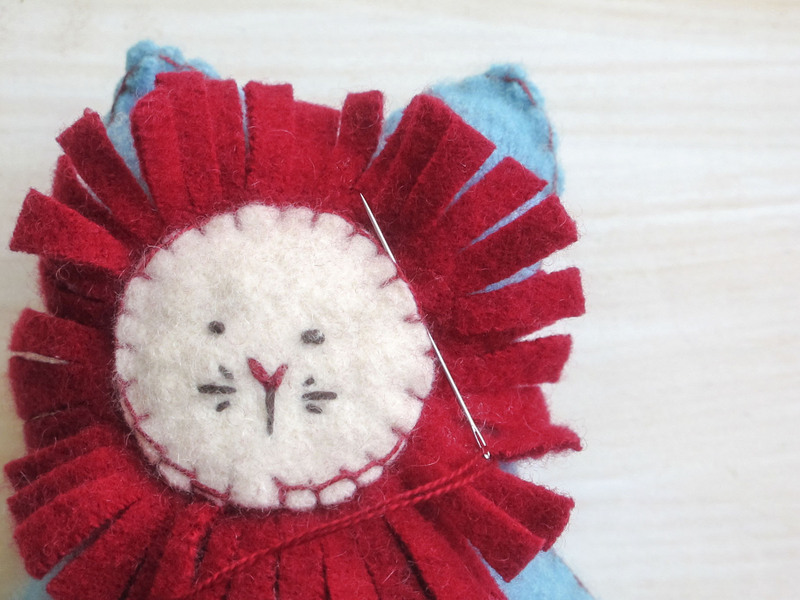 Sewing these little lions can be addictive. 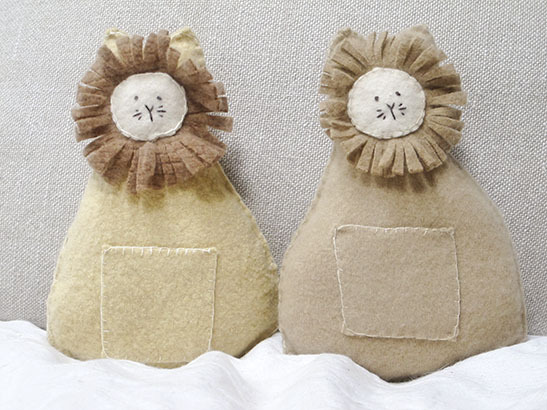 I’ve made a pride of these felines out of recycled cashmere sweaters for the ultimate in softness and snuggle quotient. This friendly and kind-hearted Lion and his buddy the Cat are the perfect companions. You’ll want to make one for everyone you know. This full color pattern will take you through all the steps to make these toys entirely by hand. No sewing machine required! 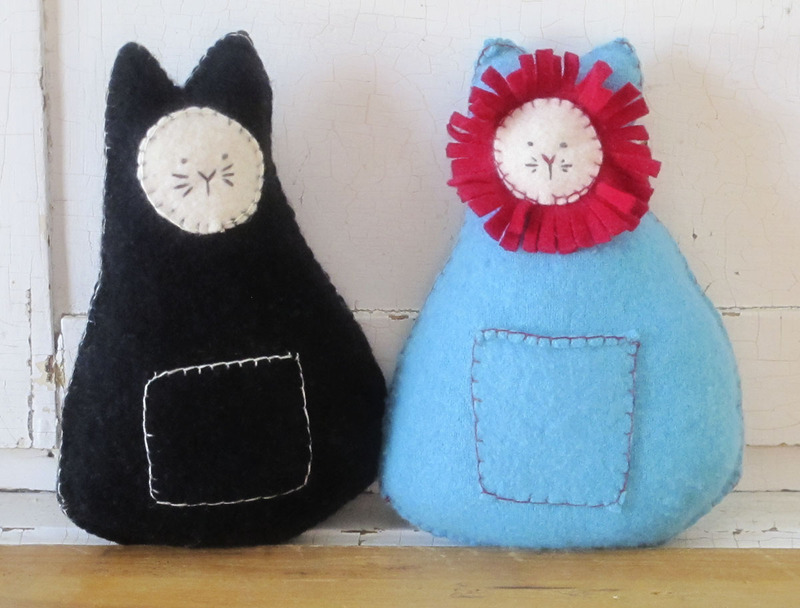 Use wool felt or recycled sweaters and you’ll have a posse of best friends in no time. 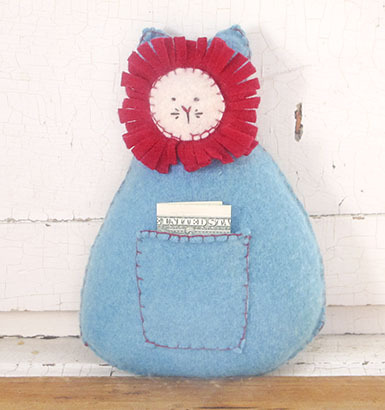 Measures about 6″ wide and 8.5″ tall.